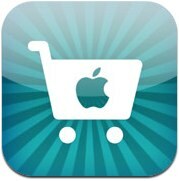 Apple Retail Store customers will soon be able to pay for product in-store using the new Passbook feature of iOS 6, according to a report from 9to5Mac. It appears to be an expansion of the self-checkout option that was added to the Apple Store app last year. While Apple’s EasyPay software should be ready for Passbook this month, some sources noted that the current EasyPay hardware, at least at some retail stores, may not be capable of scanning iOS device displays. Presumably, Apple has a solution for this in the works. Also, Apple’s plans for rolling out the consumer-facing Apple Store app update to support Passbook-based Apple Store cards is currently unclear. But with Apple preparing to seed software to its stores that interacts with Passbook on customer iPhones and iPod touches, we believe that the feature is close to being a rolled out. It is likely, though not confirmed, that customers will now be able to pay for Macs and iPads in-store with their iTunes account payment information. This would be a change from the current system where users can only purchase select accessories using the EasyPay self-checkout system within the Apple Store app. This past June, Apple reported having 400 million active accounts in iTunes with credit cards attached. It's easy to see how Passbook could be expanded from its current feature set to include payments to third party providers in competition with Square and other such services. Yo dogg, we heard you like iPhones, so now you can purchase yo iPhone with yo iphone! My meth dealer just starting using passbook. Makes getting in and out of the hood with my score so much more convenient. Who's betting it will be US only? I hope this is available in the UK, with the regular availability of iTunes cards on sale (I've just bought 2x £25 cards for £40 today) it's like a permanent 20% discount for the crafty shopper. This is a good idea, not only to promote the use of Passbook but because it's awkward to just walk out of the store with no bag or receipt. After you pay, Passbook should display a receipt that you can show an Apple employee on your way out. Easy pay brings the receipt up on your screen, so you can flash the employees with it if you need to. Consumers don't care about security. There are risks associated with pretty much everything you do. Consumers just want the best possible shopping experience. An iPhone coupled with remarkable Passbook technology delivers an unparalleled shopping experience that every serious business in the world will need to embrace. Speak for yourself. I absolutely care about security. I'm starting to get worried that increased usage of Passbook, without further security, is going to increase theft of iPhones, and along with it perhaps increase danger to anyone carrying one. Now the thief doesn't just get a phone, but all kinds of private information from Passbook. There might be things they could spend directly, like Apple Store cards. But what about the associated geolocation aware alerts? Now a thief could know where you shop, or even what bank your money is in. And I agree with Bilbo63, it's still awkward to use, needing a separate app for everything, and not having purchases just go through your iTunes account.